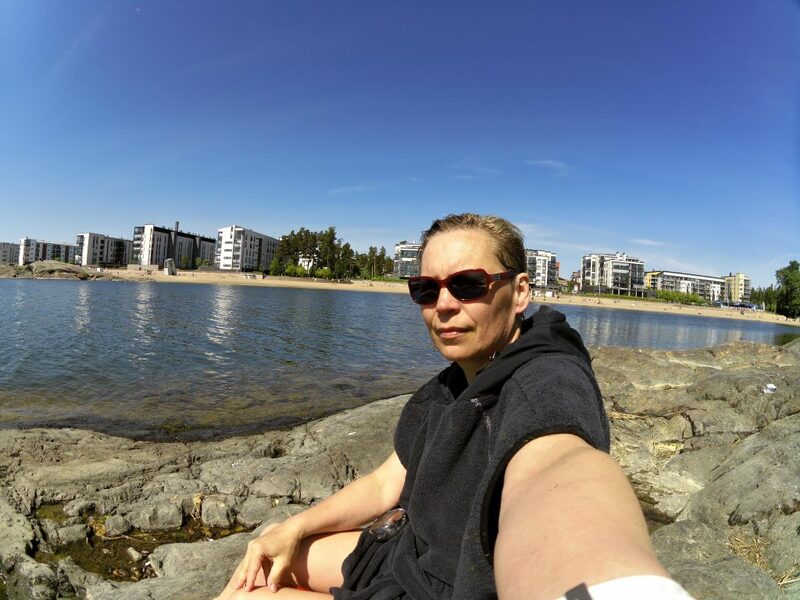 May was extraordinary warm in Finland, so I was lucky to be able to enjoy swimming without a wetsuit almost the whole month. I swim also in winter, so I’m familiar with cold water. But it was so wonderful to swim a bit longer (than just to dip) in sunny weather and warm waters in May! I just read a comment on term “wild swimming” on H2Open Mag. To be honest, we don’t use that term in Finland. Swimming outdoors is so common and natural here. Almost everybody goes swimming at their summer cabins and of course when going to sauna. There are over thousand (?) public beaches and waters in our lakes are mainly clean. Everyman’s rights gives you, in principle, the right to swim everywhere. But I like the term. Wild swimming. It encourages me to explore new and exiting swimming spots. At the moment I’m working on two projects, which both promote outdoor swimming, so this #31daysofswimming2016 challenge really gave me a boost also to my work. Later on I will add a wild swimming map on this site, with coordinates to all locations mentioned in this blog. This website continues to grow into a larger source of wild swimming opportunities and locations in Finland. On my last day I went to Aurinkolahti Beach in Helsinki. 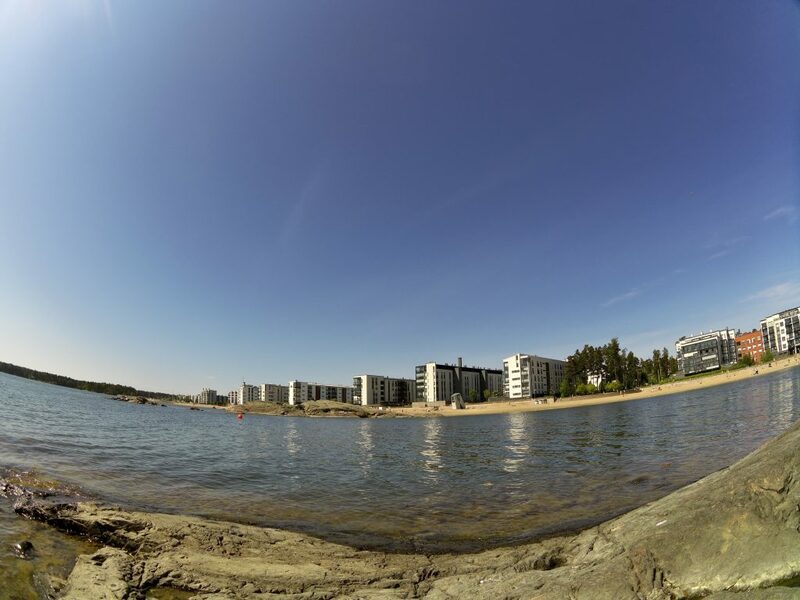 It’s 700 m long beach with gorgeous views both to the housing area and the Baltic Sea. I swam 1 k in 15-16 °C water and felt brilliant. Have a wild but safe swimming this summer!